So... our Spark lesson was to do one liners (a whole bunch!) and begin to expand on one of our favorites. These are some I've "expanded". 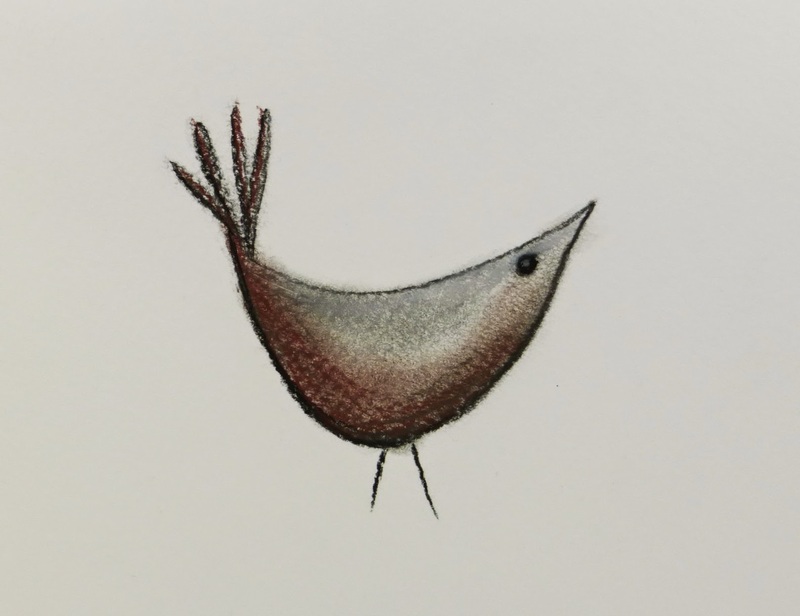 The brown and gray bird is my favorite so far, using my Rembrandt sketch pastels in neutral tones. I haven't used those for some time and had forgotten how much I enjoy playing with them. 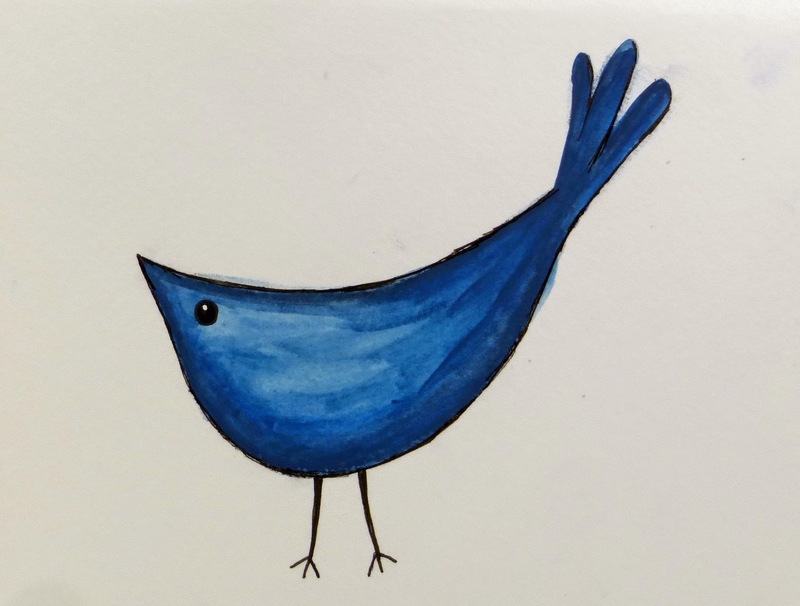 The blue bird uses an Inktense block. I drew first, and then used my water brush. Not too happy with it so far, but it's all a process. 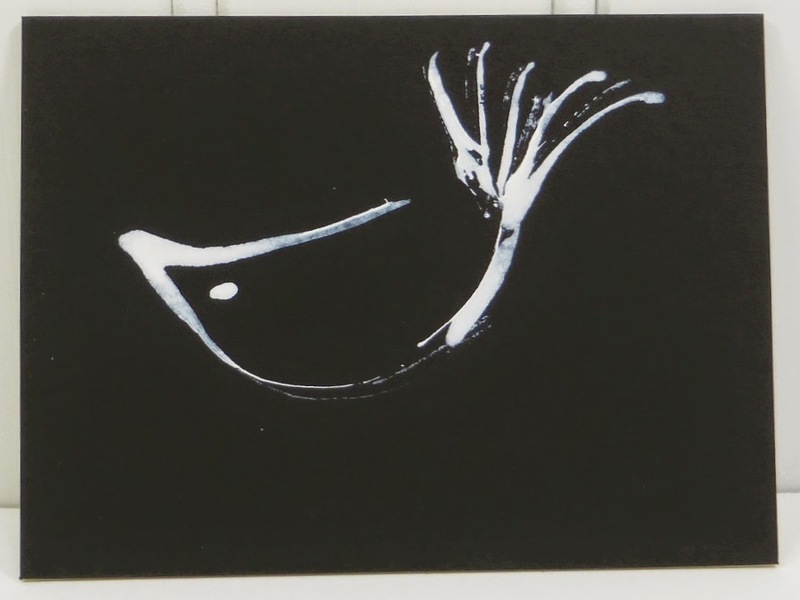 And the sketched white bird on the black background is acrylic ink applied with the dropper. This was part of using mark making process... and it started getting me to loosen up. Sharing today with Paint Party Friday, hosted by Eva and Kristin. Lovely drawing exercise! I like how it's a mix of abstract and drawing. Happy PPF! I love these! They are so quirky and fun and i really like the concept of the class you're taking-it sounds like a great lesson for us all! LOVE them...this is the kind of art I like in my world...quirky, unique with a touch of whimsy!! LOVE LOVE LOVE them and can't wait to see more!! 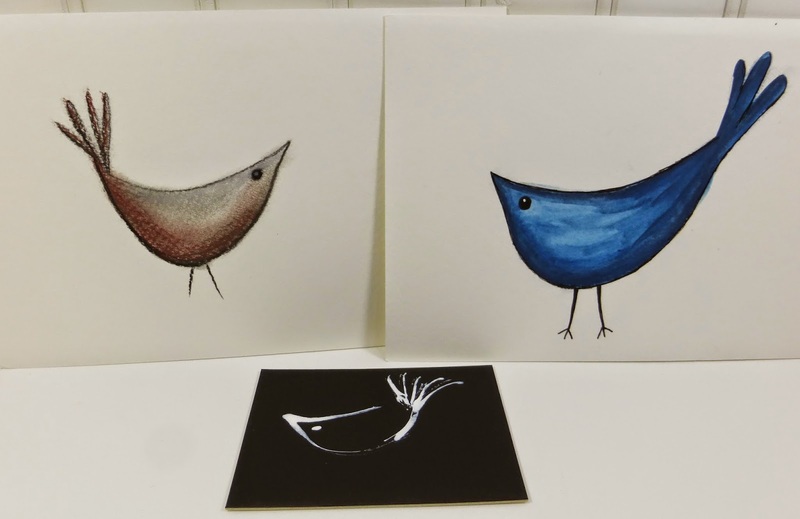 great job with the bird drawings-love them! Love your little birds! And a great way to loosen up! Charming and whimsical!! Happy PPF!